Auction location: All properties will be sold in Lewisburg, WV 24901 at the State Fair Event Center inside the Blue Ribbon Center. TRACT (A) Wooded tract of 129.62 Acres +/- located on Little Sewell Mountain Road by survey completed July 2012 – Meadow Bluff District, Greenbrier County West Virginia. TRACT (B) 2.22 Acres vacant land located adjoining Rainelle Airport on Little Sewell – survey completed July 2012 – Meadow Bluff District, Greenbrier County West Virginia. Tract (E) 67.83 Acres wooded tract located on James River Kanawha Turnpike– survey completed July 2012 – Meadow Bluff District, Greenbrier County West Virginia. Tract (F) 10.34 Acres wooded tract located on James River Kanawha Turnpike– survey completed July 2012 – Meadow Bluff District, Greenbrier County West Virginia. 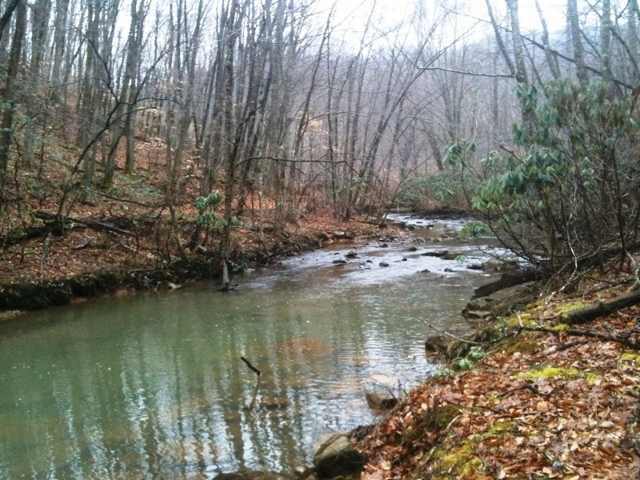 TRACT (G) Log Cabin, woodland, and long run of Boggs Creek 199.42 Acres +/- located on Boggs Creek Road and Private gated road – by survey completed April 2012 – Meadow Bluff District, Greenbrier County West Virginia. Tract (G) -Directions to property from Rainelle. Turn off of US Route 60 right in town turn at (Pit Row Store & Western Auto Store) onto the James River Kanawha Turnpike travel for 1.2 miles. The entrance to Boggs Creek Road is on the lower side of the parking lot of Sewell Valley Baptist Church. On Boggs Creek Road travel approx. 1.2 mile to the entrance of the gated property. 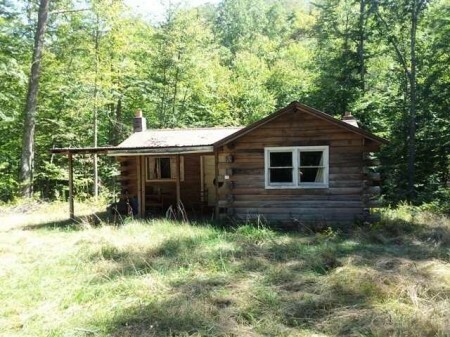 The log cabin is approx. 1.1 mile from the gate. FYI This is a private road owned by a private corporation, if the is open please DO NOT drive up the road. You could accidently be stopped by the gate being locked without knowing that you are on the property. 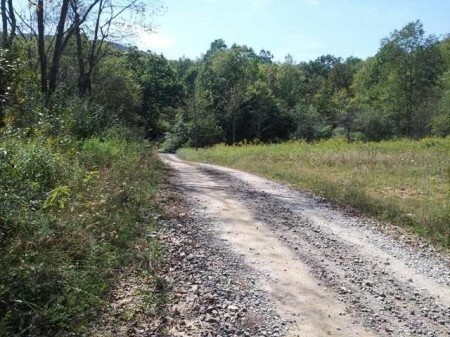 Please contact our office at 304.445.2897 before you access the property. Click here for new Plat Map. Vista Views and Hunting Too! 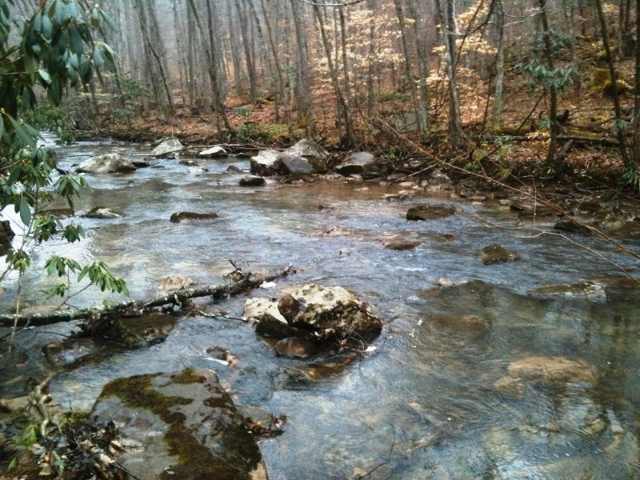 This high mountain tract has vista views and county road access. For the sportsman is a dream come true with this property being wooded forest. Hunting is at its finest here at the retreat including naming a few; deer, wild turkey, black bear, squirrels, rabbits, and more.